Thursday's 27-0 drubbing of the Houston Texans wasn't just another night for the Patriots to dominate the Texans, it marked the homecoming for one of the most beloved Patriots of all time. Returning to Gillette Stadium for the first time since the 2014 AFC Championship Game, Vince Wilfork recorded seven tackles -- tied with Kareem Jackson for second-most on the Texans' moribund defense. In the first quarter, the Pats paid tribute to the man who donned their uniform for 11 seasons with a montage of his career highlights. Patriots president Jonathan Kraft also expressed admiration for Wilfork, and hinted at his eventual (well-deserved) induction into the Patriots Hall of Fame (courtesy of WEEI's Mike Petraglia). 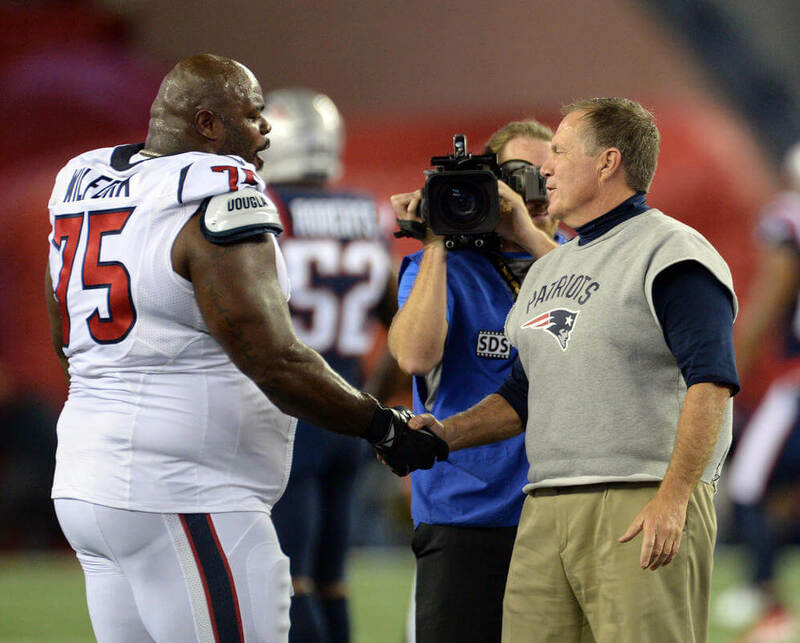 Vince Wilfork is a Patriots icon, and while the end result wasn't exactly what he was hoping for, he still received a big-time hero's welcome. Not sure if there was any turkey involved, but there should have been.